10-year manufacturer's warranty! Already the best rolling step stool around, the original Kik-Step is now available in 10 designer hues. But don’t let the good looks fool you — under that handsome exterior is a body made of steel that can support up to 500 pounds. Hidden casters make it easy to kick around while the bumper surround protects your walls and furniture. - 14 in. 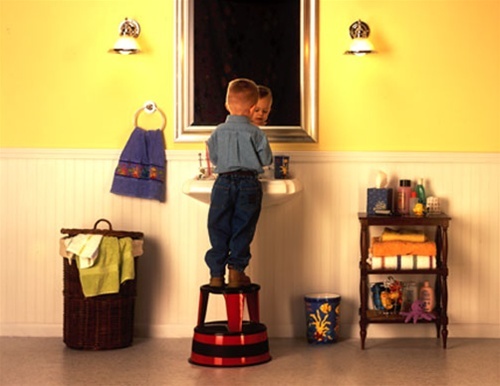 rolling step stool height. - Kick it, it rolls. - Step on the Kik-Step; it locks into place. - Available in 10 designer colors. 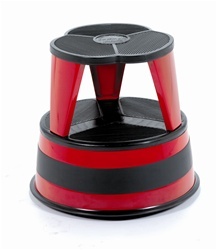 - The non-skid steps prevent slips. - The casters won't mar floors. Product weight 10 lbs. Product code: 1001-43. This item currently out of stock - will advise ETA as soon as available.